Unable to adopt stray pets! This has been driving me nuts. I purchased Sims 3 Pets when it came out, and have bought all the expansions since then. However, I have yet to ever befriend a stray cat/dog/horse. As many know, it is hard to get a relationship going with any one stray, because they all have a time limit when visiting your sim's house. I kinda gave up on the LTW "Animal Rescuer", but in my most recent game I saw a stray dog on the street, and thought- why not? I interacted with him and got him on my lot and invited him inside. One of my sims on the lot is now BFF with this dog, and he has yet to leave since being invited inside. This is the first time I got this high of a relationship with a stray- but there is no 'adopt' option! Is this a glitch with this one stray? Or is there a glitch with all stray pets? Is there something I am missing, is there a way to adopt a stray pet? Re: Unable to adopt stray pets! actually asking it to leave might just work the next time it comes back click on it again and see if the option to adopt will come up. I asked the pet to leave, thinking maybe he needed to leave and come back and the option to adopt would be there. Think its been like 2 days or so and the stray dog hasn't come back so i dont know, lol. There should be a blue thin bar at the top of the screen, type in testingcheatsenabled true after you have done that click enter then u have turned cheat on. So next time you see any sim, stray or pet click them at the same time as pressing shift. 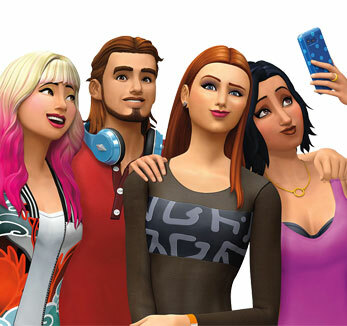 There should be a option like add to family, change traits for active sim and change favorite music. Click add sim to family, then the sim will be added you have to have only 5 sims in the family or this wont work if you have any more. This does not work for smaller critters wild horses or racoons. I originally managed to get a stray dog surrounded by fences and interact with it a little. But now every time i try to interact with it they cancel the goddamn actions. So, so frustrating. Can someone help me? Okay so I got to the source of this problem because I've had the same issue. If you BFF it but it just can't be adopted, it means one of the townies have adopted it. I have MasterController that got me to figure this out - I wanted to adopt a cat, which was staying over at my Sim's place for a while. I got to BFFs with it, but no Adopt, and it won't leave. Needless, I tried what this thread suggested me - ask it to leave. But when I wanted to bring it back, it gave the option to 'have someone bring it over', showing me the Bunch family. The initial solution may work for glitched pets, I guess.